Versace’s men’s collection for H&M is a mix of slick tailoring and pieces of extravagant pattern. 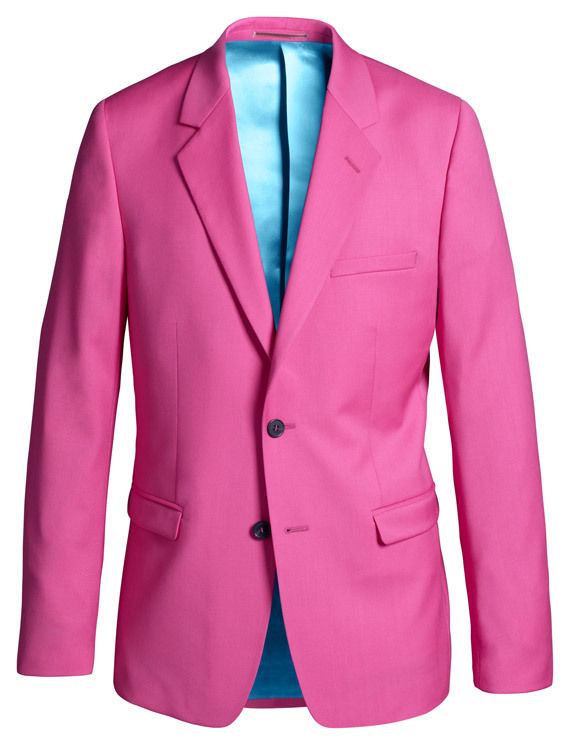 Suit jackets and trousers come in either black or pink, while a black tuxedo jacket has metallic tip trims on its pockets, and shirts have metallic wing-tips on the collars. Versace’s palm and optical prints are used on T-shirts, as well as on thin-knit cashmere sweaters, while print is also used on velvet bombers, jeans, and even underpants. There’s leather in the men’s collection too, with a quilted leather jacket trimmed with gold studs in the Versace classical Greek pattern, which is repeated down the sides of black cotton shorts and a rolled-sleeve T-shirt. Accessories include embellished beanies and patterned caps, embellished or print scarfs, as well as hi-top sneakers and the perfect dress shoes. 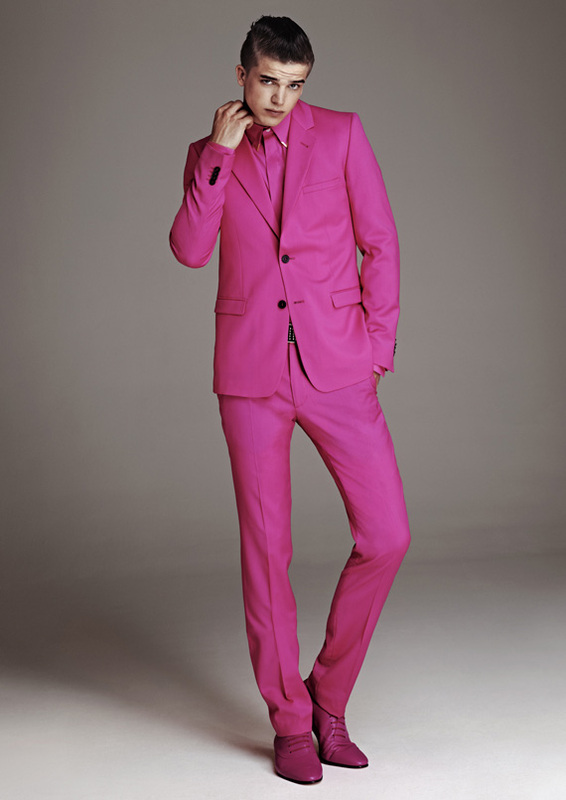 The standout piece for me was without a doubt this head to toe magenta suit, complete with matching shirt and shoes. Not that I would buy the whole thing, but that jacket is pretty fantastic. Check out Nitrolicious.com for previews of the entire collection as well as pricing.